One of the most fun projects I've ever done was a limousine website for GNG Limo back a few years ago. We have since updated and changed the look and in the last conversation I had with Gabriel, the owner, his website was bringing in over 45% of his limousine rental business. He has expanded and added 2 more limo party buses. I was recently contacted by Dave of Empire Entertainment, a New England DJ and Karaoke entertainment service. 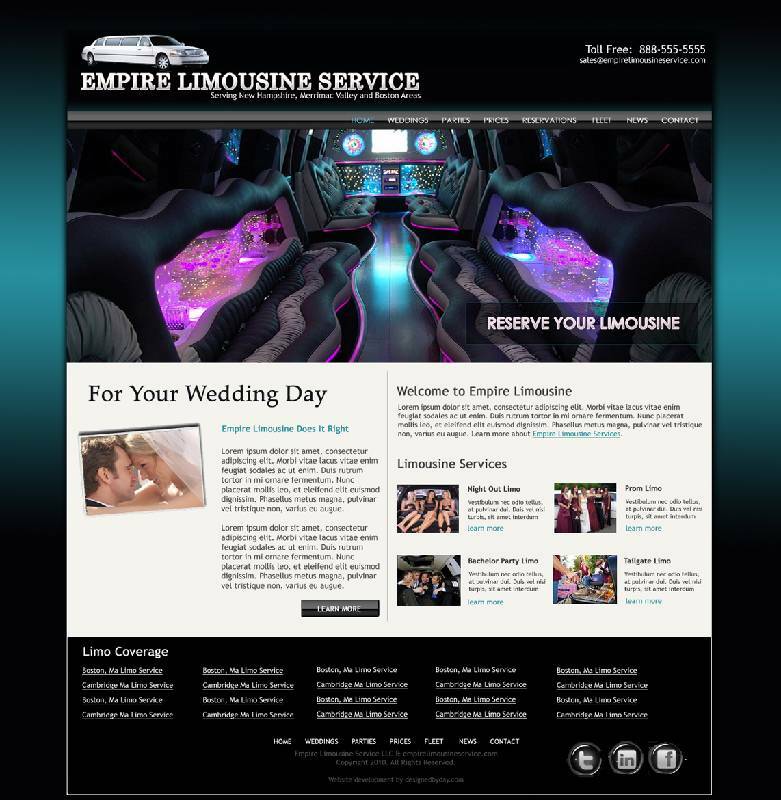 Empire Entertainment is expanding to offer clients the most affordable limousine service in the area from prom rentals and nights out to weddings and bachelor parties. I'm really quite excited to be working on this with Empire Entertainment (their limousine service to be Empire Limousine Service) from the ground up and can't wait to see where we can take their website (preliminary concept featured on the left)!